Planning a conference or convention and looking for an audio-visual provider? We've got you covered. Whether you need a full-service audio visual production or a camera and microphones... our team has all the equipment to fit your needs. 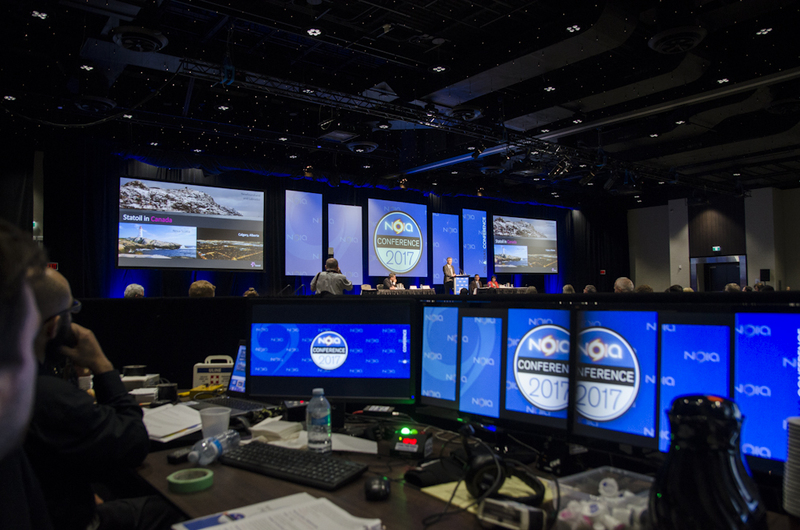 When organizing a conference or convention, you need to incorporate all of the proper elements of sight and sound. Not only does your audience want to see the latest audio-visual technology, they also want to see innovative decor and lighting to express the energy of the event. Through both special effect lighting and ambient lighting, we have the ability to set any mood. If you're looking for displays and signage or soft goods and draping, we can custom build an event your attendees will not forget. Conferences and conventions can be tricky, and to keep a consistent theme you need all of the proper provisions. We will provide audio, video, lighting and staging; all you need to provide is a venue. Together we will create ideas to execute a memorable event.